"Dani is hands down the best photographer I have ever worked with. I've done several different projects with her, and she has always made me feel comfortable and relaxed. She will literally do whatever it takes to get the perfect shot. I was lucky enough to have Danielle photograph my engagement party, boudoir, religious ceremony, and my wedding in Egypt! 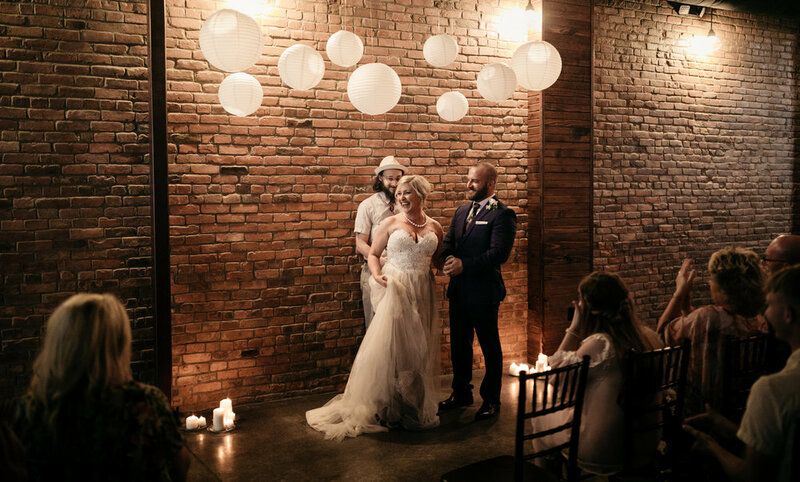 Through every step, she was professional and creative, and always made us feel like we were her top priority- which is the way every bride wants to feel on her wedding day. All our guests and family and friends were so impressed by her, and even more so when they saw the final pictures! You will definitely not regret hiring her - it will be the best and easiest decision you will ever make." "It all started about a year before our wedding. It was love at first email...truly. From the second we connected with Dani, our personalities meshed and our vision for the wedding fell into place. I know that sounds cliché, but choosing Dani as our photographer was the easiest, BEST decision we made in our entire wedding planning. Not only was she creative and spontaneous in her picture-taking, but she also ran the show. She commanded the schedule of our wedding day, tracked it with ease, and pulled off exquisite shots in a matter of a couple hours. "Talented" doesn't begin to describe Dani. She is poetic in her imagery, the director of her own mini-photographic films, and above all, a great person to be around on the most amazing, albeit stressful, day of your life. In choosing Dani, we walked away with vogue-worthy photos and a new friend that's as unique and show-stopping as her artistry." "Dani is so amazing! I could go on and on about her but I'll just say this... She has an incredible ability to capture things that most people don't see. My wedding day was somewhat of a blur and she captured all the amazing moments that I'll want to keep forever. I can't thank her enough for sharing her talent with us. P.S. she has an amazing personality that helps you feel like you've known her for years and you'll feel so comfortable in front of her!" "Dani Ford perfectly encapsulated one of the best days of my life when she photographed my wedding day. She went above and beyond to get to know "us" as a couple-- our personalities, our preferences, our vibe. And she nailed it, as I knew she would! She is a story-teller-- she tells stories through her lens and she told our story fantastically. I'm a forever fan of this fabulous, fun-loving professional. She loves her craft and it shows! Not a day goes by that I don't look at these photos and feel as happy as I felt that day. Thank you, Dani!" "There arent enough pleasant things I can say about this lady and the talents she possesses. Her creative eye brought so much value to our day. After our wedding was over it was hard to remember anything because the day went by so fast but when I got our pictures back I was amazed at how well she captured every minute and how it made me recall things I had forgotten. She'll laugh with you, cry with you, and she truly has your back throughout the entire process. Thank you so much Dani, we couldn't have made a better decision in choosing you as our photographer!" "Dani is amazing! She made everyone feel so comfortable and confident! She was so helpful and kept me on track leading up to the wedding and made sure everything ran smoothly the day of! She really took a lot of stress away on a very stressful day. She got along with everyone and I had so many compliments on how awesome she was and that I had the best photographer (duh!). She even got on a boat to go out to an island for us, she definitely goes the extra mile to make sure everyone is happy! I would highly recommend Dani, I can't wait until I have another life event that she can photograph." "Hiring Dani was one of the best decisions we made for our wedding. She was referred to me by another photographer and we instantly fell in love with her work. She captures the rawest emotions and moments, and the sun truly is her muse. Her photos are truly breathtaking. Dani's incredibly talented eye is only overshadowed by her personality! She's fun and spontaneous, and she has the most infectious laugh. We loved shooting the engagement pictures with her (which was another great decision!) along with (of course) the wedding day, but I enjoyed exchanging ideas with her throughout the entire process. There's nothing this woman can't do, and her pictures are pure perfection. Thank you for everything, Dani! There are no words that can appropriately convey how much we appreciated you these last several months. Thank you for sharing your incredible talent and skill with all of us! We adore you more than words." "Where to start? The day after my husband & I got engaged, I contacted Dani. I had stalked her work on social media for months prior to Brian popping the question, and while I didn't know much of anything else in regards to wedding details, I knew I wanted her to be the one to photograph our engagement and wedding. Choosing her was hands down the best decision we made during the wedding planning process (tying with the decision to hire wedding coordinators). Her excitement for us from the first time we talked--to the day of our wedding was genuine. She kept us laughing, made us both feel so comfortable, and she produced some of the most beautiful images of a wedding I've ever seen. Our engagement pics were phenomenal too--she is so creative, and was flexible with us when it seemed nearly impossible for us to find a date that worked. One more thing, as a wedding gift to my now husband, I secretly had a boudoir photo session with Dani. She came to our home to do them, and although I was so super nervous (at first), she (somehow) calmed all those jitters, and made me feel comfortable and beautiful. (My husband was really impressed with her work on these too!! ;) ). I seriously cannot say enough good things about Dani, and I'm so glad that she was with my husband and I through one of the most special times of our life--she was not only our photographer, but became our friend as well." "Dani Ford is definitely one of the best photographers I have ever worked with! We used her for engagement and wedding photos, and if her pure talent isn't enough for you, her incredible kindness and obvious love for her job really show through in her work. She focuses totally on what the customer wants, and is there with undivided attention. She has a comfortable way of pulling out real, true emotions and capturing them in photos. Love her!!" "I have admired Dani's work for years and knew I had to book her for my wedding day! Dani traveled to Tennessee for our wedding and boy did she deliver. She was wonderful at catching moments, staging statement photos, and keeping everyone relaxed and warm in posed as well as tons of candid shots. Our pictures are breathtakingly magical. She really brings the day back to life. We loved working with Dani and highly recommend her for any occasion!" "I met Dani years before I even had the chance to see her work. She has always been so warm, caring, genuine, and full of life. The day I met her I felt like I had known her for years. When I got engaged I knew there wasn't a question that I wanted her for my wedding and engagement pictures. My now husband is petrified of pictures, but I knew without a doubt that Dani could knock it out of the park. We both felt so comfortable and she never made us feel as if we were being staged. She let us be in our own element, which I love. On our wedding day it rained for majority of the day. She was so positive, always bringing up ideas for photos since the initial ideas wouldn't work. I was never worried about the weather because she was with me. When I got my gallery, I cried and cried. The pictures were nothing short of amazing. They were better than I could have imagined. The quality, the lighting, the love that she captures is undeniable. I cannot thank her enough for all of the hard work, the time, and energy that she put into our wedding day. I will cherish these pictures for the rest of my life. I get to relive this day for years and years to come, and I also found a new friend and a photographer for life! The Owens' love you!" "Working with Dani was one of the best wedding decisions I had made as far as vendors go. With a lot of other necessities, you have your vision and you see it through, but with photography you could go 100 different ways and I am telling you now, going with Dani made my experience priceless. Not only was she a true professional, but she gave me something I didn’t know was possible through a wedding photographer, which was the sense of feeling proud of myself. Because her talent was so profound throughout the day, she gave me visual proof of my hard work in the most beautiful form, and I could not thank her more for that. If I got to do it all over again, I would absolutely choose her again because the result was so worth the investment! She’s also way cooler than a lot of people and will make you feel like you’re the funniest, best bride that ever walked this planet, so if nothing else, she’s a fantastic ego boost! :)"
"Working with Dani was such a wonderful experience! Both our engagement photos and wedding photos are better than I could ever have imagined. When I viewed our wedding gallery, there were so many photos I didn't even realize had been taken, but capture the moment so well. Dani knows exactly what to say to get those perfectly candid shots! I would recommend her as a photographer for any session or event!" "Dani did my engagement pictures as well as my wedding photos. She MASTERS the sun, making something that is 94 million miles away work to her advantage flawlessly. She has a natural eye for framing her shot and great composition. She's able to capture people in such a way that makes them seem so candid and natural. Not only is she incredibly skilled, but her personality is phenomenal to work with, making the entire experience stress-free and fun. Take a look at her work, it speaks for itself. I definitely recommend to anyone."